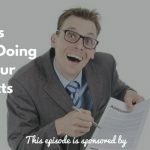 TSE 672: How Can I Set Myself Apart When Making a Cold Call? 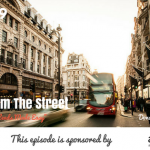 Home » TSE Podcast Post Page » TSE 672: How Can I Set Myself Apart When Making a Cold Call? Prospecting may come in shapes and forms. Should you send an email beforehand? Or should you just call right away? These and more on this episode today. First off, we’re starting a new thing where I’m utilizing more videos. Done Tuesdays at noon on our Facebook Group, The Sales Evangelizers where I will be answering questions there as well as more and more insights. Figure out you can stand out. Don’t look and sound like everyone else. Use a more target approach than a shotgun approach. 1. Find a list of your ideal customers. Add in 50 names that you can include in your list. Getting 10% of those would already be huge. Creativity is key. Cliche as it may sound like but you have to be creative. Do something different to grab their attention (ex. snail mail like a postcard in the email or a handwritten note, send a catchy email, stop and visit, or find some way to connect with them on social media). 3. Do the follow up call. You doesn’t necessarily have to reach the client when doing a followup call. It may be their executive assistant and have a conversation with them. Tell them you’re the one who sent that postcard. Now, you have the opportunity to grab their attention and get their appointment. 4. Uncover the unconsidered need. In the book The Three Value Conversations, I learned the principle called the unconsidered need. Is there something you can share with them that they don’t even know, considering, or thinking about? Point out something in the industry that is going to help them to become more productive or to help them streamline their process. Again, try to stand out. You may not make a hundred phone calls, but the quality of your phone call will be a hundred. The Three Value Conversations by Erik Peterson, et al.